Malaysian property powerhouse, TA Global Berhad is set to release the second stage of its $700-Million beachside community, Little Bay Cove. 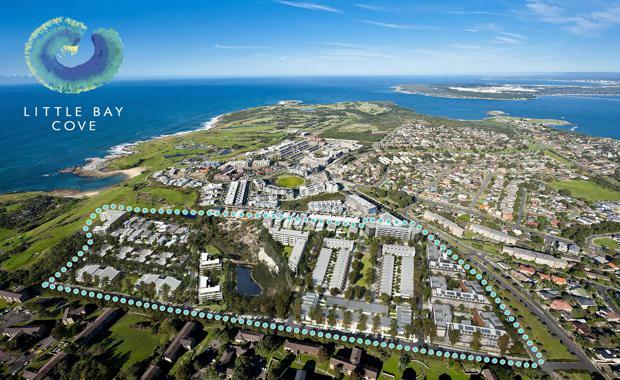 The 13.6-hectare master-planned estate borders a pristine beach and four golf courses – NSW, St Michaels, The Coast and Randwick. Little Bay Cove is at the southern end of the Eastern Suburbs coastline, within 6km of Coogee Beach, 14 kilometres of the CBD, and is next to the multi award-winning Prince Henry community. It is poised to be one of Sydney’s landmark lifestyle residential developments, comprising 582 apartments, townhouses and land allotments which will be delivered progressively in stages over the next seven years. Some $50-million has already been spent on civil works, landscaping, lighting, lakes, walking trails and services such as gas, water, electricity, sewerage and telecommunications. TA Global Berhad is no stranger to the Australian business community, having been established locally for more than 15 years after acquiring and reinvigorating a Sydney heritage building, now known as the 5-star Radisson Blu Plaza Hotel. The Group also owns The Westin Melbourne. In 2010 the Group, through TA Global Developments Pty Ltd, collaborated with Charter Hall to jointly manage the development of Little Bay Cove. In 2014 Charter Hall changed its strategic direction to move away from residential property development and focus on core asset classes of office, retail and industrial, so the Group bought the entire Little Bay Cove project from Charter Hall. The first stage launched at Little Bay Cove was Solis, with all 45 apartments selling quickly, and completion is expected in the first quarter of 2016. “We have intimate knowledge and hands-on experience with Little Bay Cove so we can ensure continuity in delivery and project vision,” Ms Khoo said. Set amongst lush greenery and landscaping with picturesque coastal views, Little Cove Bay will have land allotments, townhouses, courtyard homes and low-rise luxury apartments. “Sydney-siders place great importance on an active, outdoors lifestyle which inspired us to purchase the site,” Ms Khoo said. TA Global Berhad is one of the largest listed property development companies in Malaysia by market capitalisation, and has also expanded into Canada, Singapore and China. It is involved in a diversified range of property services, which includes property development, property management, property investments, and hospitality operations. The Group has a strong track record of delivering high-quality residential homes, communities and commercial properties in Malaysia and Canada. Its new stage at Little Cove Bay is known as Illume and comprises 179 apartments in three five-level buildings designed by renowned architect Tony Caro, with Simon Mather of Mako Architecture as the co-design and documentation architect. Integrating the conveniences of modern living into a natural coastal setting, the apartments will be launched mid-August by joint selling agents McGrath Projects and NG Farah Project Marketing. Associate Director of McGrath Projects, Dennis Vertzayias, says Little Bay Cove is destined to become one of Sydney’s most desirable communities; a place to let the heat soak in, enjoy the beachside lifestyle and dissolve life's stresses. “This is the last significant parcel of beachfront land in the Eastern Suburbs, and it already has the feel of a coastal resort, with lakes, wetlands, remnant bushland and walking trails,” Mr Vertzayias said. Peter Goulding of NG Farah said master-planned estates are in great demand because of their stand-alone amenities and well-maintained communal facilities. TA Global Berhad has committed to protecting and fostering the health of the local ecosystems and environment at Little Bay Cove by reducing potable water use by 60% and energy consumption by up to 50%.